The ward at the Scheer is a constant buzz of activity. The ward sister, Suni is always there to answer our questions and to interpret. 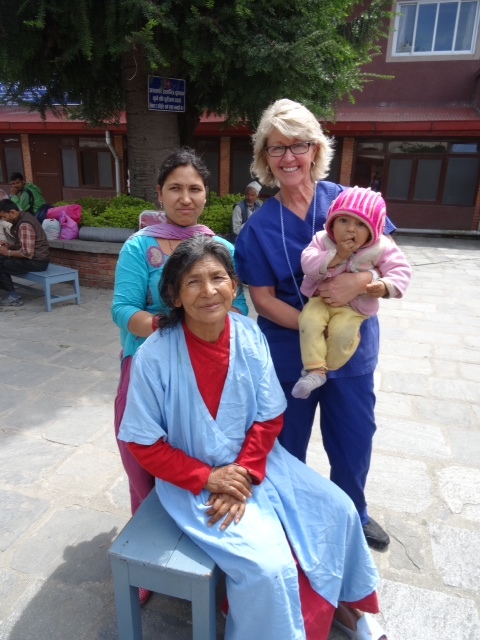 Along with the local staff we have been able care for the village ladies that have undergone surgery. These ladies are very stoic and require very little pain relief and are usually discharged two days later to rest at the local hotel before travelling home together on the towns transport which can take up to a day. 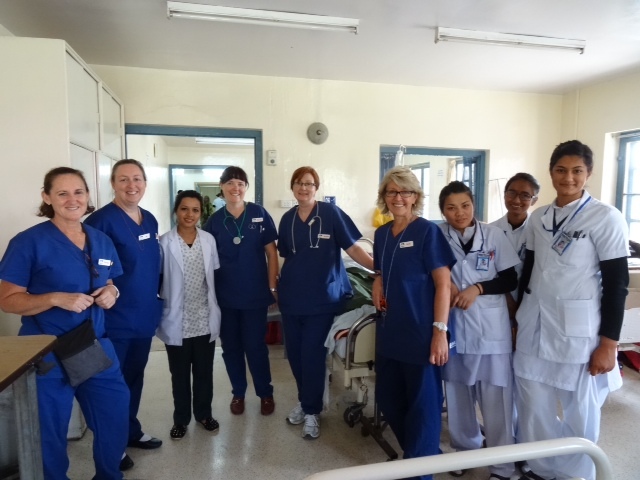 The Australian ward nurses (Karen, Rhonda, Trudi, Jill, Toni, Michelle, Chris and Bronwyn) have been learning new Nepalese words – tica tica, pissa pissa, parni parni etc as well as some new techniques in nursing care. We have put together a personal care bag for each of the ladies. This contains a comb, tooth brush and paste, soap, shampoo, socks, beanie, hair tie, under pants, a small koala and a blanket. They really like getting these bags! The relatives play an important part of the patient care by providing personal care from getting the ladies their meals, drinks and sleeping next to them on the floor every night. When considering surgery the family has to take into account that they mother or grandmother will not be able to work for up to six weeks after surgery. This may effect the income as the ladies are usually the sole provider. There are Many beliefs about the surgery which require the team to be sensitive too. For example if a patient has a hysterectomy the family like to see the uterus as proof. Today Coralie had a magical moment! 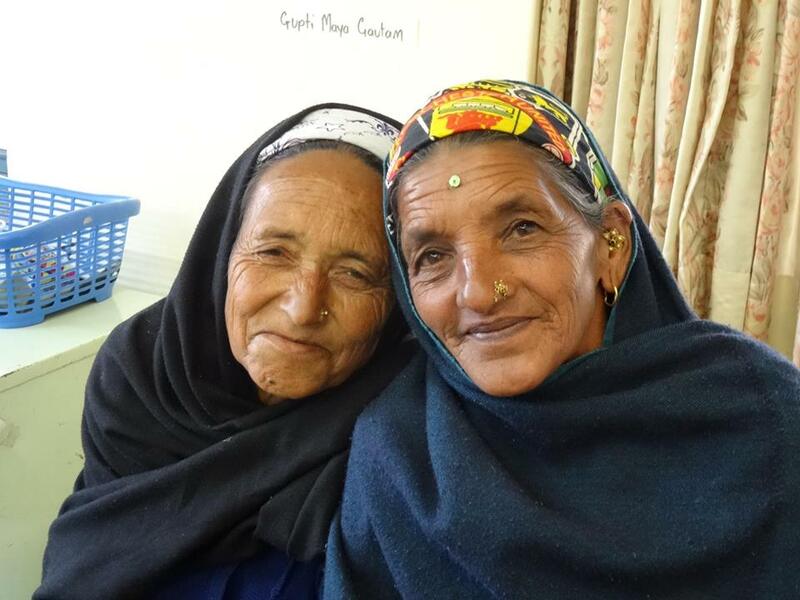 Nepalese people do not readily smile for photos, but when she asked to take a photo these two women they snuggled together and took this beautiful photo. The lovely lady on the left gave her permission to share her story. She has had a uterine prolapse for 38 years! She said it made her feel hopeless and she had constant discomfort. When she went home today after her surgery, she told me she is very happy and, with her hand over her heart, said that she did not have enough words to tell us how grateful she is for the care she received. 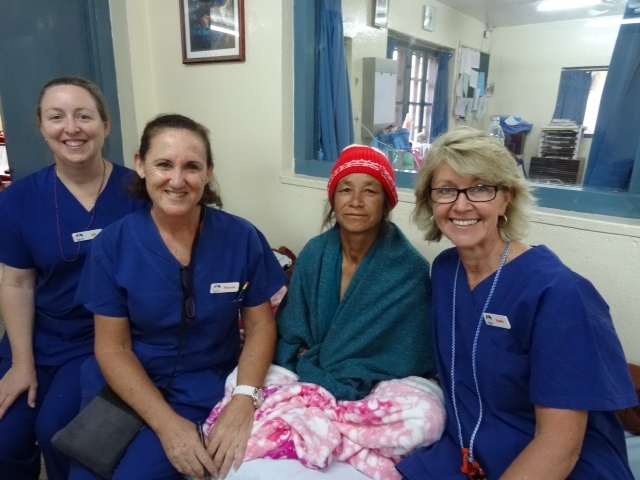 It is a rewarding experience in which many of us on the ward and are hoping to return again.